In less than two months nations from around the world convene in Paris for the COP21 climate conference. With one more official round of negotiations before Paris, co-chairs for the United Nations ADP (Ad Hoc Working Group on the Durban Platform for Enhanced Action) Ahmed Djoghlaf of Algeria and Daniel Reifsnyder of the U.S. have been hard at work whittling down the climate treaty draft text to a manageable size. As of February, the draft weighed in at an unwieldy 86 pages. At meetings in June Djoghlaf and Reifsnyder agreed to work together to draft a scaled-down version of the text by July, releasing a 76-page document on July 24th. Heading in the right direction, the text remained much too large to deal with at the two-week conference in Paris. The latest draft released earlier this week presents negotiators with a drastically reduced 20-page text. Slimming the text to one-quarter its previous length is a “politically sensitive task,” writes Sophie Yeo in Carbon Brief, reflecting intense behind-the-scenes discussions meant to quicken the pace of the process that many feared were stalling at the last Bonn meeting in September. The current document remains focused on three pillars of climate action including mitigation, adaptation and finance. Mitigation: The text calls for a commitment from governments to contain warming to no more than 2°C, if not 1.5°C, above preindustrial level, though current commitment fall short of that goal. Within the text as a framework for nations to revisit and scale-up their commitments every five years. Adaptation: Most significant is the concept of “loss and damage,” or how developed nations will assist vulnerable nations for climate impacts that are now considered inevitable. The text also sets obligations for governments to submit plans specifying priorities and needs for dealing with climate impacts, as well as sharing relevant knowledge and best practices. 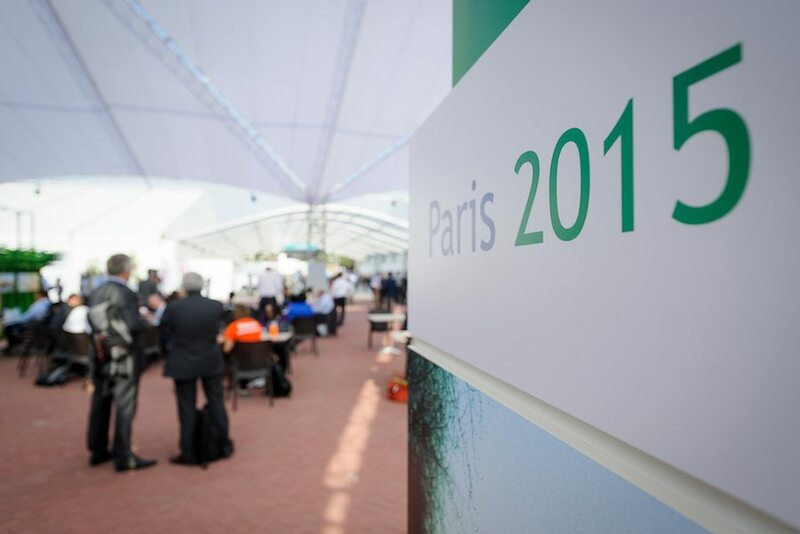 Finance: Climate finance is key to success at COP21. For developing countries, any agreement in Paris hinges on assistance from rich countries for clean development and climate adaptation. There is already a commitment for $100 billion a year by 2020, so additional funding must exceed that amount. The text calls on both the public and private sector to private climate finance. The final and last round of negotiations before the Paris summit take place October 19-23 in Bonn.